1. God created us to be in relationship with Him. 2. We are eternal beings in a temporary "tent". "...For what is your life? It is just a vapor that appears for a little while and then vanishes away" (James 4:14). "...while we do not look at the things which are seen, but at the things which are not seen. For the things which are seen are temporary, but the things which are not seen are eternal. For we know that if our earthly house, this tent, is destroyed, we have a building from God, a house not made with hands, eternal in the heavens" (2 Corinthians 4:18-5:1). 3. God gives us the power to change! "When you invite Jesus to be the Savior and Lord (manager) of your life, your past is forgiven, you get a new purpose for living, and you get a home in heaven. In addition, you plug into God's power to change your life." (The Daniel Plan, page 57). "Dear God, thank you for creating me and loving me so that I can have a relationship with you. Thank you for understanding the frustration I have felt in failing to change things in myself that need changing. I realize that without your help I am powerless to change my deepest habits, hurts, and hang-ups. I need a savior, and I thank you for sending Jesus to die on the cross for me. Jesus I need your presence, your power, and your purpose in my life. I want to turn from my plans to your plan, and from depending on my power to your power. From now on, I want you to be the Lord and manager of my life. In faith I humbly ask you to forgive my sins and my failures and help me to become what you intended for me to be. For the rest of my life, I want to get to know you better so I can trust you more. I pray this in your name. Amen." (The Daniel Plan, page 57). If you prayed that prayer along with Rick Warren and me, and in your heart you know that those words really meant something to you down deep, then would you give us a call on our prayer line and let us know about your decision? We would love to encourage you further and pray for you as you begin your journey of faith. Our toll-free prayer line number is 1-866-273-4444, and it's available 24/7. 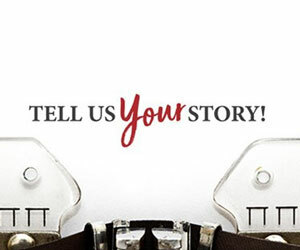 You can also let us know by email at [email protected], or you can click HERE and connect with our Care Centre by submitting a message through crossroads360.com. And if you haven't requested your Daniel Plan book yet, now is the time to get it and join with us. Click HERE to request your copy.